Amy Struthers, Professor of Advertising and CoJMC Graduate Chair, teaches promotional strategy, copywriting and integrated marketing communication campaigns. She is the faculty founder of Jacht, University of Nebraska–Lincoln's student advertising agency, supported by investment firm Nebraska Global. She received the College Award for Distinguished Teaching in 2011, the American Advertising Federation's Most Promising Minority Student Nominator award in 2010, was selected as a scholar in the Advertising Educational Foundation's Visiting Professor Program in 2006 -- posted at McCann Erickson New York -- and received the college's Outstanding Faculty Service Award in 2005. Struthers' research agenda includes work in public health messaging, particularly to teen audiences. She has worked closely with the Nebraska Department of Health and Human Services for the past six years on a collaborative project to develop and implement an effective campaign encouraging high school students to be more physically active and make better food choices. Initially funded by a University of Nebraska–Lincoln Layman Research Grant, this project now is part of ongoing CDC support and each year is implemented in about 15 public and private high schools across the state. Struthers has been part of two interdisciplinary teams of researchers working on large health-related grants. The first, a $1.2 million grant from the National Institutes of Health (NIH) Science Education Partnership Award (SEPA) called The World of Viruses, was a five-year grant that funded development and testing of innovative materials about viruses such as HPV and HIV/AIDS, for dissemination through non-traditional channels such as tablet apps. A second grant for $1.8 million, titled The Omaha Science Media Project, tested the hypothesis that high school students can learn science better when given the tools and training to produce media about science topics. Virology was the science focus of this project, and students as well as teachers in the Omaha Public School system participated in summer workshops to learn media storytelling,using the latest in video and audio equipment. Working with both undergraduate and graduate students, Struthers has researched the social phenomenon of trends using both quantitative and qualitative methodologies, helping to shed light on the dissemination of ideas and product with particular audience segments, funded by the Archrival Faculty Fellowship for Trend Research. Struthers was awarded a $20,000 Cooper Foundation grant to develop promotional campaigns for international activities in the college, which was doubled with a match from an anonymous donor. She is a member of the international honor society Phi Beta Delta, is bilingual in French and English and has lived and worked in France. For nine years, Struthers served as advisor to a vibrant student chapter of the American Advertising Federation, University of Nebraska–Lincoln Ad Club, and she founded University of Nebraska–Lincoln's student team for the National Student Advertising Competition. She has served on University of Nebraska–Lincoln's Faculty Senate, has been a member of the Senate's executive committee and represents the college as a commencement marshal. 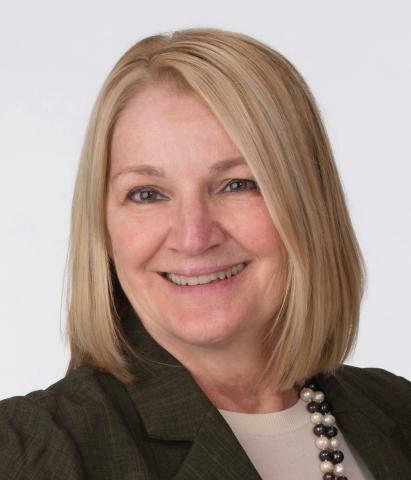 Prior to joining the CoJMC faculty, Struthers was a marketing professional for 15 years for IBM and for a variety of programs at the University of Nebraska-Lincoln. She was the first full-time professional advertising manager of the Daily Nebraskan. Struthers graduated Phi Beta Kappa from University of Nebraska–Lincoln with bachelor's degrees in English, French and comparative literature and was a member of Mortar Board. She was a Newspaper Fund reporting intern at the Fort Worth Star Telegram. Struthers earned a master's in French language and literature following her teaching in the French public school system. She joined the College of Journalism and Mass Communications in January 2003.